A World War Two thriller, Foreign Correspondent overcomes some war time propaganda stiffness thanks to epic espionage showpieces expertly crafted by director Alfred Hitchcock. It's 1939, and hard-nosed reporter John Jones (Joel McCrea) is chosen by the editor of the New York Globe newspaper to head to Europe, cut through the diplomatic drivel and determine if war is indeed imminent. In London, Jones interviews key diplomat Van Meer (Albert Basserman) but can get little useful information out of him. Jones also meets Stephen Fisher (Herbert Marshall), who runs a for-peace advocacy group, and falls in love with Fisher's activist daughter Carol (Laraine Day). Moving on to Amsterdam, Jones finds himself witness to a shocking assassination and a cover-up, and stumbles onto a nefarious enemy agitator cell hiding out at a rural windmill. 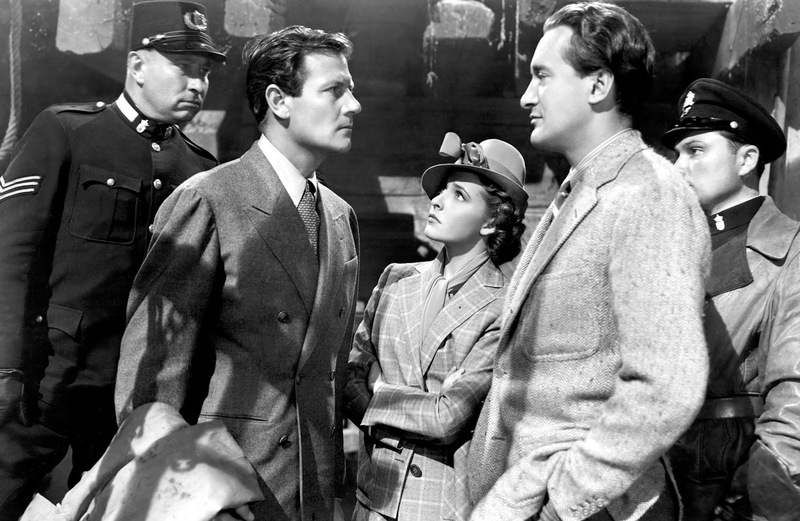 As the war drums beat louder, he teams up with fellow reporter ffolliott (George Sanders, playing a character with two "f"s and no capitals in his surname) to try and uncover the work of enemy agents in western Europe, and Jones himself becomes a target. After a slowish start to establish the premise, director Hitchcock transforms Foreign Correspondent into an unrelenting spy adventure movie. In his second Hollywood production after Rebecca, many of the director's soon-to-be signature themes emerge. Jones is a man plunged into events greater than he could have imagined, vast conspiracies are unfolding behind veneers of respectability, and the bad guys are quick to resort to innovative assassination methods to get the job done and cover their tracks. Foreign Correspondent features several highlights signalling Hitchcock's emerging mastery of the polished and playful suspense set-piece. The Amsterdam staircase assassination scene and subsequent escape, starting on foot amongst a sea of black umbrellas and evolving into a car chase, is the film's startling pivot point. Quickly afterwards, Hitchcock unspools a tense hide-and-seek game inside a windmill, filled with clever touches including an uncooperative overcoat and unforgiving machinery. The director then hits his stride. Jones has to extricate himself from an upper-floor hotel room with two assassins waiting inside. But this is only a prelude to another deliciously taut encounter with a covert killer-for-hire (Edmund Gwenn), this time culminating at the top of a cathedral observation tower, and another gasp-inducing punctuation mark of a climax. Remarkably, Hitchcock is far from done. The film ends with a prolonged climax featuring a spectacular plane crash into the water, and then a rescue and still more clever duplicity onboard a neutral American ship. After Jones' epic survival saga on land, air and sea, the film's appeal for American involvement in the war emerges as a short but powerfully effective piece of propaganda. A large part of the film's appeal is the wealth of characters and events that make it onto the screen. Hitchcock populates every scene with details and people who may or may not prove to be relevant, but keep the eye and mind engaged. From Jones being provided with the clumsy pseudonym Huntley Haverstock to the wide-eyed Latvian diplomat seemingly hovering on the edge of every encounter, there is always something going on just to the side of the main plot. Before dedicating most of his career to Westerns, Joel McCrea was a versatile actor, and he is surprisingly effective as Jones. 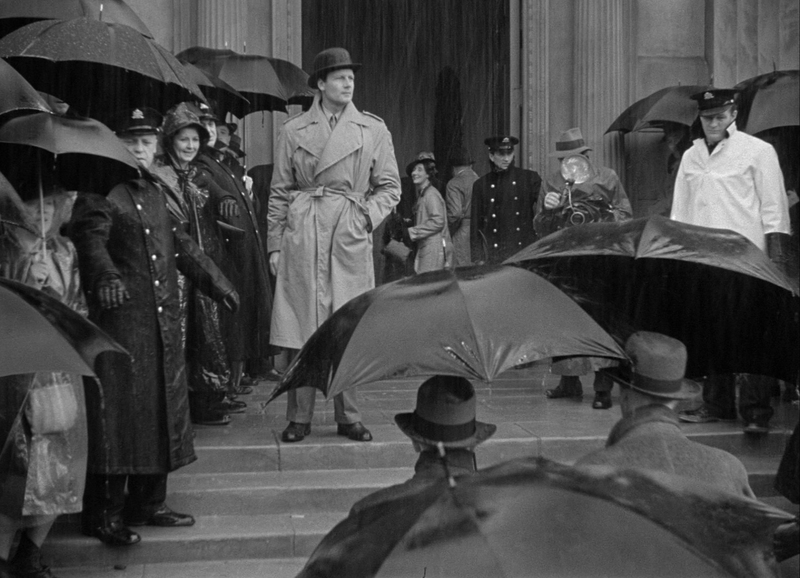 He gives the central character a sharper edge compared to Hitchcock's later reliance on the more rounded personas of Cary Grant and James Stewart. Herbert Marshall and George Sanders provide potent support, both men scheming their way in and out of trouble, and indeed in the second half of the film the dynamic between Fisher and ffolliott takes some of the load off Jones. Hitchcock's McGuffin in this case is career diplomat Van Meer, Albert Basserman bringing to life a frustrating obfuscator harbouring valuable secrets that could tip the balance of power in the event of war. Foreign Correspondent is an entertaining milestone, creating the how-to template for powering an absorbing plot with a high voltage current of suspense.